If there is anything I’ve learnt about over the last year of my life, it is about salsa and – relationships. And it took me a while, but, I came to realize that apart from teaching you those moves, salsa has a lot to teach you about relationships. Yes – relationships. So here’s my attempt at bringing the two together. Salsa teaches you to trust. In this dance, the man leads and the woman follows. As sexist as it may sound, that is the way it is. Salsa as a dance form has received enough and more criticism for being a reflection of a male dominated society. But I believe otherwise. So I’ll do some myth busting here. It is not necessary the male has to lead every time. The female too, can lead. But as a norm, the man always leads. The beauty – lies in the woman trusting the man; completely. So, just as no relationship can exist without trust; this dance cannot be danced without trust. Trust that the partner will lead you correctly and make you look beautiful on the dance floor. Trust that the partner will not touch you inappropriately while dancing and make you uncomfortable at any point. Trust that the partner will not be brash with you on the floor and hurt you. Without this trust, one cannot be free while dancing. And salsa is about being free. Similarly, a relationship based on the strong foundation of trust- does not bind you. Rather, it sets you free. There’s more to this. So while the woman has to trust the lead completely and follow; she has to hold her own too. 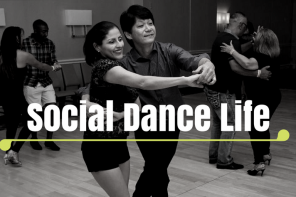 Let me explain- If you were to join salsa classes, one of the first things your instructor would teach you about dancing with your partner would be maintaining equal and opposite resistance between your palms. This is necessary for the both the dancers to lead and follow without the movements being jerky and for the dance to look graceful. It is this equal and opposite resistance that brings synchronisation or ‘coordination’ to the dance. It goes without saying – a relationship too, is of equals. While dancing, if both the partners do not display equal strength and resistance, one or the other will be pushed and pulled around on the dance floor. On the other hand, if one applies too much resistance it would hinder the smooth flow of the dance- and maybe it would not look like dance at all. This brings me to my next point on space. When the partners hold each other, a distance is created by your arms held in front of your chest with a 3 point contact – the palm, the elbow and the shoulder. This interlocking of arms and maintaining equal and opposite resistance creates a space between the two partners and brings grace to the dance. In relationships too, this space is equally important. The interlocking of arms is representative of the fact that the two of you are together and will move together in harmony, but each will always respect the others’ space as an individual and will never encroach upon that space to make the other uncomfortable. We are always told that relationships are about understanding each other. Salsa too is about understanding. In salsa, each touch has a different cue and leads to a different move. A touch on the hip is not the same as a touch on the shoulder. The partners have to be in sync with each other to be able to understand all the cues given by the lead and the follower to be spontaneous in responding with the correct move. The lead has to understand the position the follower is in and give an appropriate move that does not break her flow and momentum. Most importantly, the lead has to make an effort to surprise his partner with different moves every once in a while and not make the dance monotonous by repeating the same moves. While it’s upon the man to bring the surprise element, it’s for the woman to add the zing and the oomph. Just the way dancing is fun, relationships are meant to be fun. But they can be fun only if both are having fun. If you’re getting the lead for the same steps over and over again; the dance becomes monotonous and you can’t wait for the song to finish. And if the woman isn’t showing some of her style, then it’s a drab for the man. So it’s equally important for both to keep each other interested. And what’s a relationship without the little surprises and that little extra effort you take to make the other feel special? I’ll say it’s the same for relationships as well. Get the basics right and it will help you discover each other in new and different ways each time and help you nurture, build and most importantly- have fun! Nicely written article. Very informative. True and applicable. Thanks for sharing.